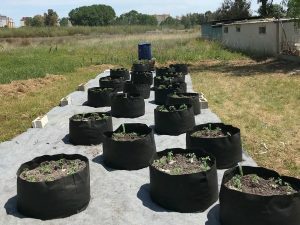 As we always say at AutoPot: no AutoPot Spain, no AutoPot gain! Our Spanish growers are involved in some of the most ambitious projects and face some of the toughest conditions in Europe. 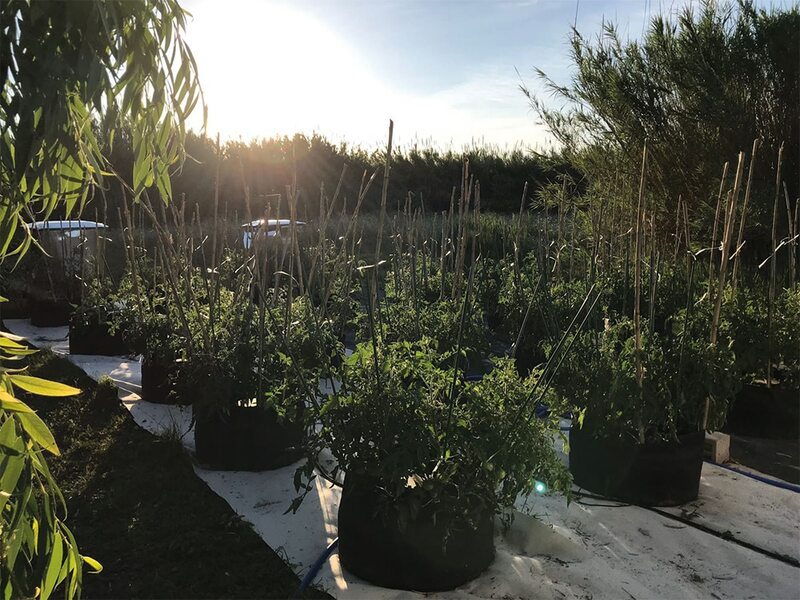 Proving the systems as a highly productive, efficient option in Spain is a huge deal for AutoPot and we’re happy to deploy our best staff to demonstrate to horticulturalists how it can be done. Cue our watchful condor Elena Perez chief of staff for Spain swooping to conquer (with helpful tips and assistance) across the peninsula. Most recently Elena visited budding Spanish AutoPot Distributor Soilless / Seed To Lab. It was about time somebody showed them the awesome power of AQUAbox Spyder combined with fabric SmartPots. It would’ve been downright cruel to make these good people wait a minute longer to experience two visionary 4Pot Systems in a mineral versus organic growing trial. Thus, to Gandía, a former dukedom of those nefarious Borgias just south of Valencia, went Elena, primed to set up AutoPots and with absolutely no intention of buying the papacy. Jorge Faus, the Manager and Owner of Seed To Lab granted Elena a splendid tour of the distributor’s facilities. 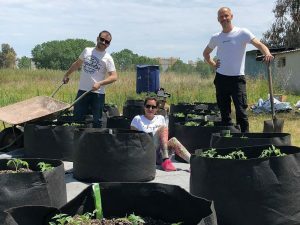 After a huge, warm hello (like the sun but more genuine and personable) from the Seed To Lab staff Elena was whisked out to ground zero – Seed To Lab’s vast, multi-hectare test growing site. First to pot were the tomatoes that looked downright eager to be installed in the vast 250L fabric SmartPots. If you think AQUAbox Spyder hasn’t got those pots covered for irrigation you’ve another thing coming. Our tip for substrate when potting thus: a soil and perlite mixture. Like any good secondary school every granule of perlite is blessed with a multitude of rough, porous faces. In schools these faces are for spots. In perlite these faces retain wholesome water instead, blessed as perlite granules are with a huge surface area. Meanwhile the perlite granules prevent the soil from binding together and becoming heavy – facilitating free drainage. 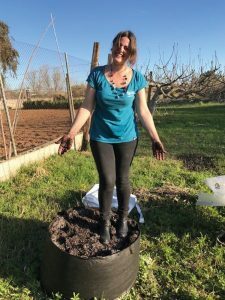 The fabric SmartPots into which Seed To Lab and Elena were potting have proved something of a revelation over the past twenty years. The porous BPA-free, lead-free SmartPot material allows improved gas exchange in the substrate. Free to breathe the root zone can see dramatically enhanced oxygen levels – supercharging growth. When root tips reach the porous side of a SmartPot they are ‘air-pruned’ – deterred from extending any further by the air outside. Secondary roots then develop, creating a fibrous root structure with vastly improved moisture and nutrient uptake. Root circling is also thus eliminated making it possible to produce bigger plants from smaller pots. 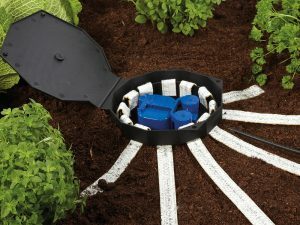 AQUAbox Spyder is one way of irrigating really big SmartPots with AQUAvalve technology. The AQUAbox containing the AQUAvalve sits in the top of the pot. Twelve capillary matting strips radiate out from AQUAbox. Those strips are covered over with a layer of substrate. Connected to a reservoir the AQUAbox then serves the plants with water and nutrients from the top of the pot as and when plants require feeding. This technique works well with multiple plants in a large pot. An alternative method, more suited to a single plant in a big pot, is to place the pot and an easy2GO Kit in a garden tray. Here the water and nutrients are drawn from below. 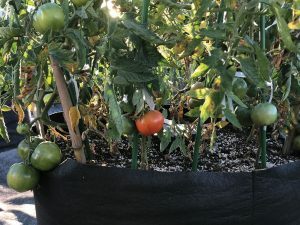 When installing the AQUAbox Spyder in such large containers with relatively young plants it is important to gradually increase the levels of irrigation. Nothing but hand watering for 7-10 days, then go gradually. This can be achieved by laying and covering all twelve lengths of capillary matting but leaving half of them disconnected at the AQUAbox end. After a few weeks these six disconnected ends can be hooked up at a rate of one per week in order to meet the developing plant’s needs. A particular issue in the Valencia area and the Med at large is poor water quality with very high levels of calcium and high pH. This makes pH monitors and regulators an absolute necessity – although a pH monitor of some kind should be on all grower’s lists of essential items. For an accessible and informative take on water monitoring you could scarcely do better than browsing the Knowledge Base on Bluelab’s website. While we’re talking pH it’s worth mentioning that a recurrent question raised about our systems is whether to aerate the reservoir. We emphatically do not recommend aerating the reservoir as this can cause fluctuations in the pH. If growers wish to agitate the nutrient solution then a small water pump can be used instead. 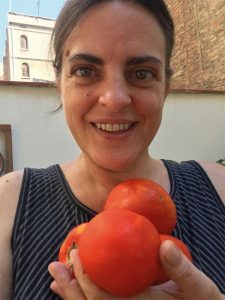 The Spyders deployed and the tomatoes potted Elena and the team retired for a delicious repast and digested not only the food but also the state of the sector in Spain. Some time later they moved indoors to the test site greenhouse in order to establish a mineral versus organic test with peppers in 4Pot Systems. With AutoPot systems organic fertilisers are not an option as far as feeding in solution goes. 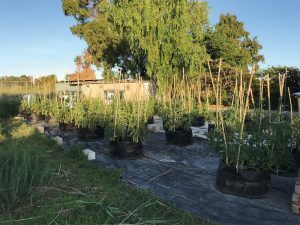 However there are intelligent, powerful and often more convenient means of delivering nutrients to plants that do allow organics to be used in our systems. Most commonly this involves slow release organic pellets sown into the pots themselves. Under Elena’s mighty tutelage Seed To Lab set up two 4Pot Systems. The first fed with a mineral nutrient, supplied from the reservoir. The second 4Pot System was set up with two pots sown with BioTabs and two sown with Aptus organics. Once set up these systems were left switched off for the requisite 7-10 days during which they were on a strict regimen of hand watering only, nil by valve if you will. Once established they could be treated to the full majesty of the system in action and my did they respond! The mineral-fed systems produced a tasty, larger, more successful, more aesthetically pleasing crop whilst the organics grew peppers that just edged it for flavour. 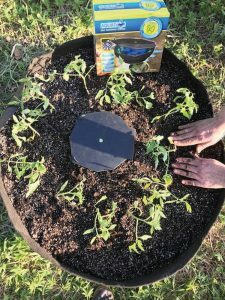 Accelerate through time to the tune of four months and the now fully-grown tomato plants in the SmartPots are delivering in spades. They’re also delivering to Elena in Barcelona (with the help of human intermediaries). Jorge recently returned Elena’s visit with a vast quantity of delicious crops, devoured over a single weekend, great work guys!